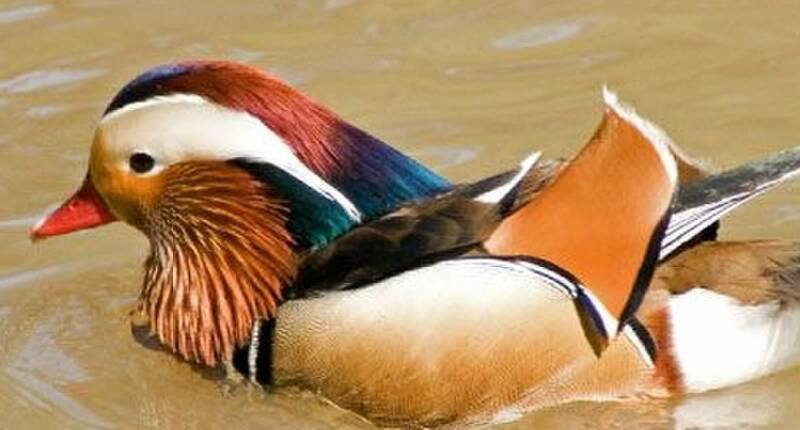 For this challenge my fellow artist Kath provided us with a beautiful photo of what I think is a Mandarin duck. Beautiful isn’t it? I kept coming back to the photo (I finally put it on my desktop) trying to decide on the colors I wanted to use. Using feathers or a bird image or the idea of water was a given for me. It was the colors that kept my brain running in circles. There are so many wonderful ones to choose from don’t you think? And surprisingly some have an almost neon look too. How does Mother Nature do that? Got me thinking that Stampin’ Up needs a copper metallic paper…don’t you agree? Now if only my camera could have shown the right shade for the Crisp Cantaloupe! (ARGHH). With the retirement of so many favorite products only days away I took the opportunity to bring out some of the ones I will miss featuring the most for another playtime. I was late to the party in loving Crisp Cantaloupe…I know…dumb huh? But now I can’t stop picking it up and working it into any number of designs including this one. Until this week I hadn’t even realized how beautifully it pairs with Cajun Craze. 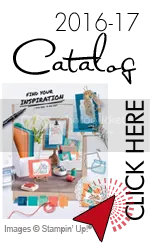 In looking at our inspiration photo at first I was caught by the darker and brighter colors…then I looked a bit more closely and what do you know…there were a few almost pastel shades to offset the deeper, darker colors. Can you see the Cantaloupe color in the small section of the neck? The Cajun Craze & Early Espresso were a no brainer for me and the Night of Navy was a nod to the slightly more neon blue that shades to a deep purple. Then I scratched my head about how to show the feathery texture and the edging of cream color that seemed to outline so many colorful sections of this beautiful bird. Then my eyes lit on my Sahara Sand Lace from the soon to be gone Occasions Catalog. Perfect! After all sand and water birds go together right? That outlining as well as the water ripples was also the inspiration for the scored lines at the top of the Crisp Cantaloupe layer. I’ve seen quite a few cards on Pinterest that use the scoring technique as an accent and it was fun to give it a try for myself. Especially since I didn’t want the lace edging overwhelmed by an overall embossed layer. The use of the Wetlands stamp set (thankfully not retiring) was a tough choice in some ways. I wanted to play with the retiring Four Feathers but decided in the end that ducks had a lot in common with other shore birds and I wanted something a bit delicate to go with the lace. I heat embossed two stampings of the single long image from the set with Whisper White Craft Ink and then Whisper White embossing powder on my Early Espresso paper then punched sections from both stamped images with the 1″ square punch. 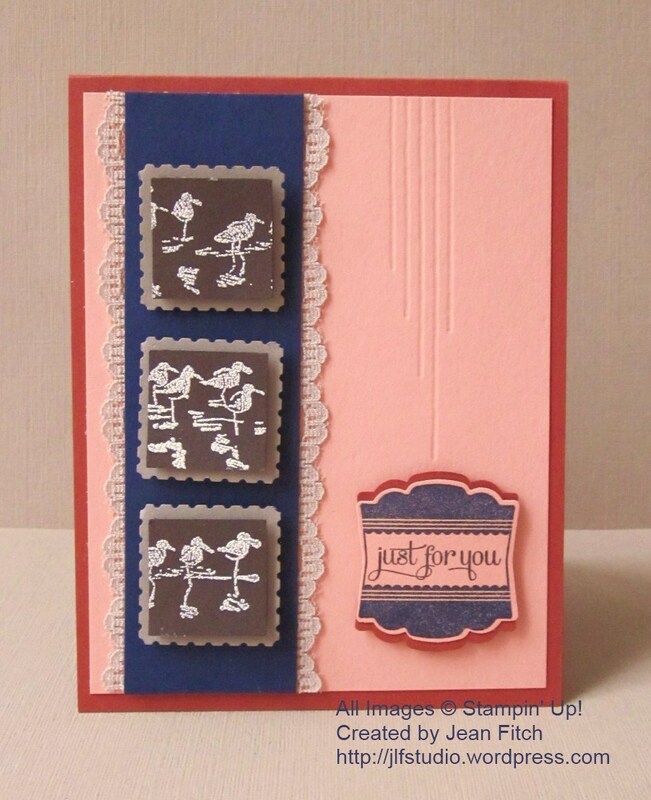 The mat layer was a nod to the new catalog using Tip Top Taupe with the retiring Postage Punch. 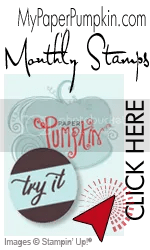 Why oh why did Stampin’ Up have to choose that punch when looking to make room for new ones. Sigh…it was the perfect layer for the 1″ Square punch don’t you think? And you know how much I love creating layered inchies. 1) To create a grouping of scored lines you need to take your courage in hand and allow yourself to freehand the look. Start at your desired point and then draw lines of varying lengths 1/8″ apart. The Simply Scored Board is perfect for this technique since the entire board is sectioned in 1/8″ lines. 2) To create the mat for the sentiment – punch another Artisan Label shape in a contrasting color. Cut the piece in half across the middle, snip the bottom corners and adhere each section to the back of the stamped punch piece. 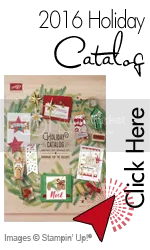 Join the rest of the design team over at the Challenge blog website here to see the rest of the teams designs and to add your own with the linky doodad. When you add your own design and there are more than three entries, one of you will be a challenge winner and have the option to place the winner’s badge on your own site. Of course…you’ll also win bragging rights! That’s it for this challenge. Don’t forget to check the Watercooler Challenge Blog post here to see who was the winner of the last challenge submissions by linky artists. Check the challenge site for rules on competing for future challenges. Hi Jean, love the card even though you’re having a bit of an issue with your camera. Some colours really are a challenge to capture correctly. I’m with you on the “why did they retire the postage punch”? It works so well for so many occasions—look at how wonderful a frame the cut-out provides for your sandpipers! I’m surprised you’re not mourning the loss of the Artisan Label punch. It’s great for your sentiment and has been a handy punch, too. Great choice using the Postage Punch and the Wetlands birds for this card Jean. I really like your card stock choices for the background and the scoring design as well as the ripple effect the lace gives. Thanks for sharing your beautiful and peaceful card Jean.